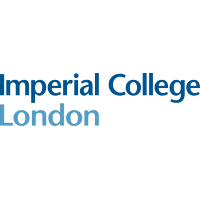 Profile: Consistently rated amongst the world’s best universities, Imperial College London is a science-based institution with a reputation for excellence in teaching and research. It is consistently recognised as one of the top three UK university institutions for research quality, has one of the largest turnovers of any UK university and has numerous collaborations with industry. Imperial has been recognised as an Academic Centre of Excellence in Cyber Security in an evaluation jointly conducted by the Engineering and Physical Sciences Research Council (EPSRC) and GCHQ, leads the UK Research Institute in Verified Trustworthy Software Systems and the UK Research Institute in Trustworthy Industrial Control Systems. The Department of Computing is one of the largest computing departments in the UK and is world renowned its work on distributed computing, logic and artificial intelligence, high-performance computing, visual information processing, computing theory, and computational aspects of management science. The Department has been awarded the top rating in each of the Research Assessment Exercises (RAEs) undertaken by the Higher Education Funding Council (HEFCE). The Institute for Security Science and Technology (ISST, founded 2008), coordinates and applies interdisciplinary and cross-departmental research and innovation to national security and resilience. Working alongside the College’s Departments and spanning the Faculties, the Institute interfaces with a wide range of public and private sector end-users as well as guiding the College’s contribution to international security science and technology policy. With CBRN threat reduction and Critical Infrastructure Protection, Security in Cyber Space plays a key role in the Institute’s strategic programme. Expertise and Role in CONCORDIA: ICL will participate in all WPs and focus its research interest on providing verifiable trusted software as well as Anomaly detection against specific attacks on IoT and Industrial IoT networks like WSNs. ICL will also be involved in Deep Learning algorithms for Security.